Need music earlier in the day? Interested in something a little different to make your event that extra special? Here are some prepared entertainment packages that we often provide for our clients. Let us know if you see something you like, or contact us to discuss other ways to make your event extra special, and have your guests gushing about it forever!! The whole FireFly! 5-piece; Soulful female vocals, Jazzy Bass, acoustic guitar, drums, keys and wind – but in a mood you can talk over suitable as people arrive, an afternoon reception or perhaps during your meal so you can chat over. 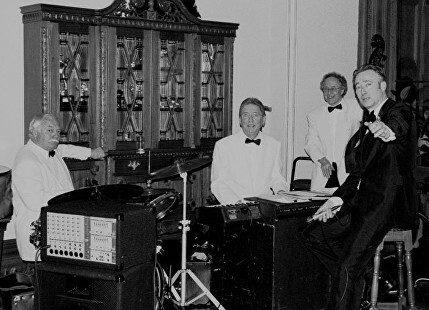 Songs are performed with lighter arrangements in our own unique ‘UnPlugged’ style, ranging between modern and classic; Brand New Heavies, Aretha Franklin, Andy Williams, Jamiroquai, Otis Redding, Frank Sinatra, George Gershwin, Maria McKee, En Vogue – an eclectic mix of songs to impress your guests!! FireFly! with 3’s Company performing together! The live musicianship you enjoy with FireFly! with 3 x lead vocalists. Perfect for the most special of occasions, with an even bigger repertoire, selection of styles, longer live sets and a party you will never forget. All packages include an iPod playlist at your event when the band isn’t performing live. But for extra prestigious events, people often choose to upgrade to our full DJ package. A dedicated DJ to read the dancefloor and play what your guests are responding to. Full back catalogue of songs. Consultations before your event to work out what sort of music you’d like, making sure the DJ is prepared. 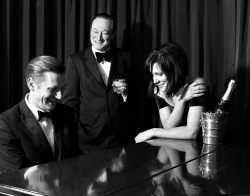 A relaxed mixture of modern music, jazz standards and some show tunes thrown in for good measure. An ideal way for your guests to be greeted at your wedding breakfast. Your favourite cocktail piano repertoire selected to create the perfect atmosphere, along with a vocalist (or two) for that extra fizz! Piano, Upright Bass and Drums with a vocalist. 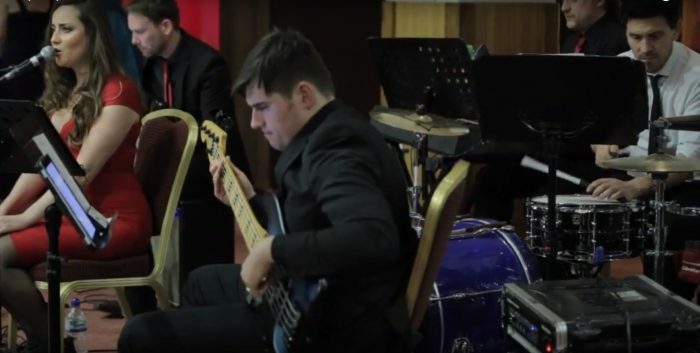 The flavour of ‘dinner jazz’ married to the cool tones of a vocalist will create the perfect recipe to make your wedding or dinner go with a swing. 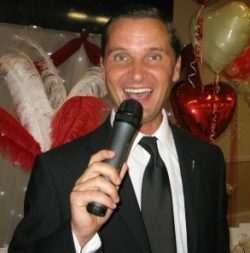 Singing along to all your favourite swinging greats – from Frank Sinatra to Dean Martin… and a bit of Michael Buble too! Light classical music, traditional baroque, show tunes and film themes – a lovely romantic way to accompany your meal or drinks reception. Classical, Baroque and modern tunes from an acoustic woodwind 5-piece. Perfect for a wedding service, or an English country garden reception – or during a meal. Here are some good friends who we work with, are simply the best as what they do, and we highly recommend. A versatile act, singing Swing, Soul, Jazz, Pop & Standards, that will enhance any occasion, be it a corporate event, wedding, civil partnership, private party or charity dinner! Performing either solo or as part of a male/female duo, this accomplished act will astound & delight with its extensive repertoire, slick presentation and infectious good humour.